This workshop aimed at exploring how countries could design and implement national policies for the Internet of Things (IoT) to support the modernization of their industry and economy, based on the recent practical experiences from Brazil and China. 1 – What should a national IoT plan look like? 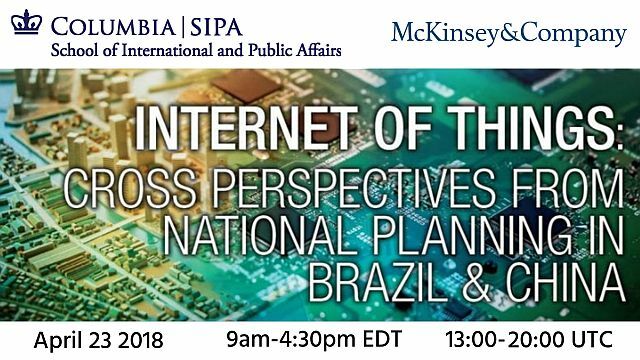 This session introduced the motivations of Brazil and China for the development of an IoT national plan, with perspectives from representatives involved in the implementation of the national plans from both countries. This session touched upon the diverse regulatory challenges that arise with the implementation of a National IoT plan, ranging from issues in taxation, telecommunications (permanent roaming, frequency allocation), data collection and treatment, data privacy, and the impact of emerging technologies such as artificial intelligence, and blockchain.